Here is a list of automatic CIF-SS Masters qualifiers from the Inland Valley, and where they placed at their respective CIF last week. Top 5 automatically advance. Sixth place can advance as an alternate, but that isn’t known until later in the week. These are only the top 5 listed here. The State CIF announced on Saturday that they will be extending the agreement with Bakersfield, through the year 2020. CIF had accepted bids from many sites across the state, including Citizens Business Bank Arena in Ontario, which has hosted the CIF-SS Masters Meet the last two years. But the State CIF has ultimately decided to keep it in Bakersfield at Rabobank Arena, which has hosted the event since it moved from Stockton in 2004. 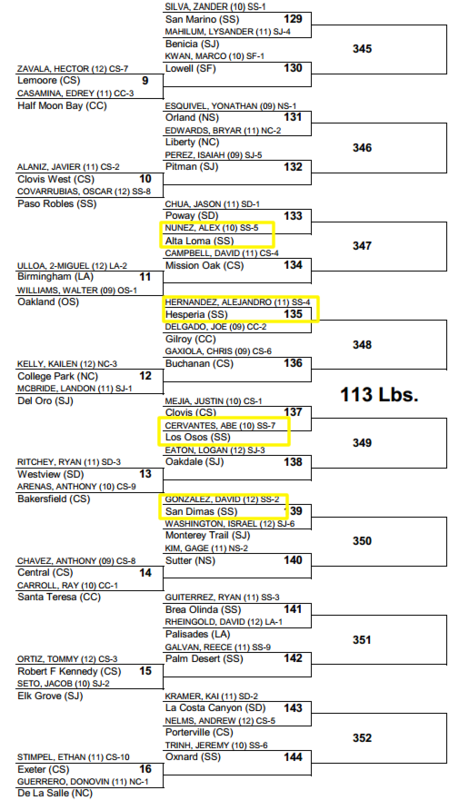 By the way, Alta Loma’s Alex Nunez was 8th at 113 pounds and San Dimas’ David Gonzalez was 3rd on Saturday at this year’s CIF State Boys Wrestling Championships. 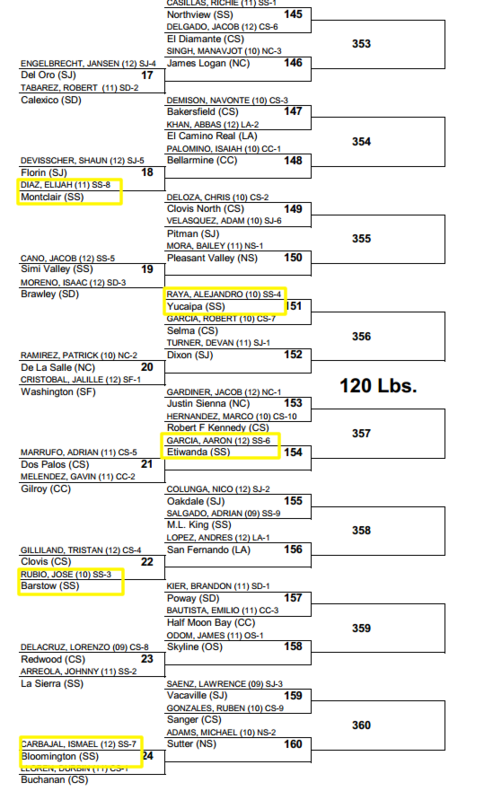 CIF State Wrestling brackets, for the tournament that begins this Friday in Bakersfield. Locals are highlighted, or boxed in yellow. 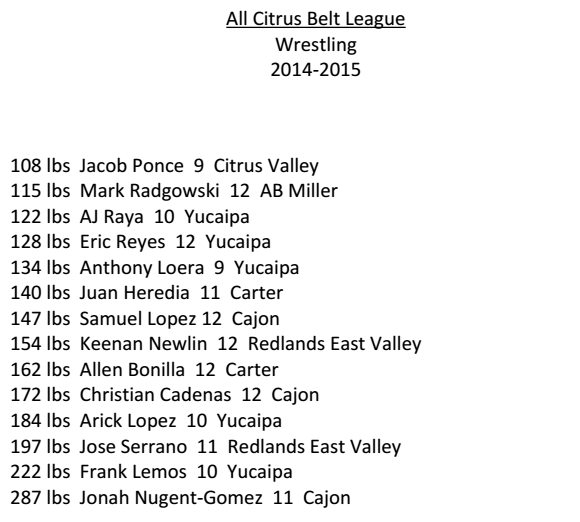 Some of those you will see highlighted are San Bernardino Sun wrestlers, not just Daily Bulletin. 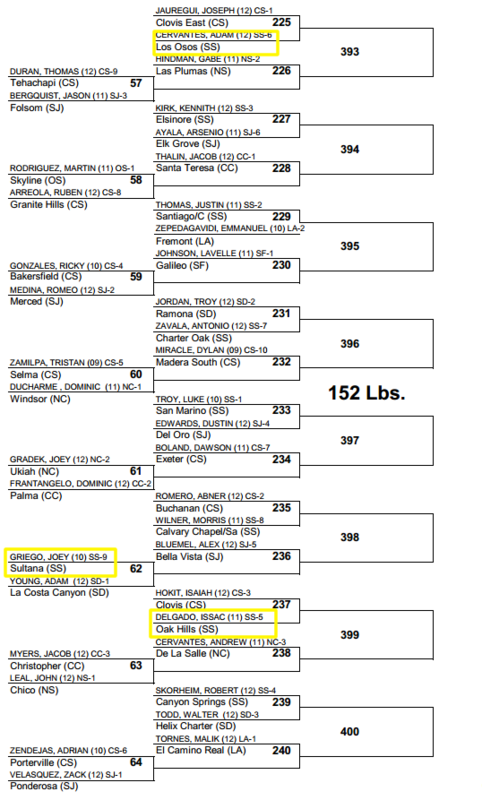 Yes, Rancho Cucamonga’s Cody Fahamokioa’s name is butchered on the bracket. Los Osos’ Adam Cervantes talks about winning CIF. Here are Inland Valley qualifiers for the CIF-SS Masters Masters Wrestling Meet, to be held Friday and Saturday at Citizens Business Bank Arena. Arranged by school, with divisional they competed at last week, and qualifiers.